This Norwegian article describes using Audio Kit for the measurement of noise. 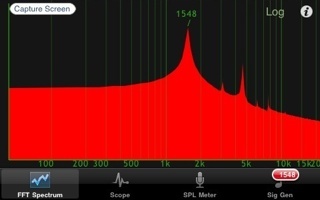 It describes using the Spectrum Analyser and SPL Meter in the Audio Kit App to measure and discriminate different noise types. A translation to English is provided by google. 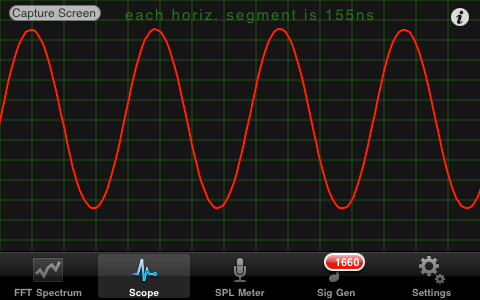 The next release of Audio Kit, 1.4 is due in early December 2010. Audio Kit on iTunes App store. 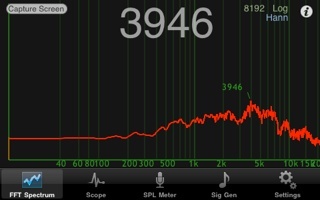 The Audio Kit iPhone App from Sinusoid Pty Ltd has a new release, version 1.3. 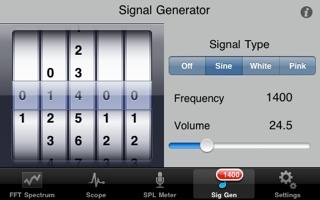 Signal Generator now includes white noise and pink noise signal types, in addition to the existing sine wave signal. 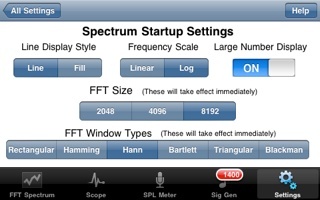 Spectrum display has 6 selectable FFT window function types – Hamming, Hann, Rectangular, Bartlett, Triangular and Blackman. 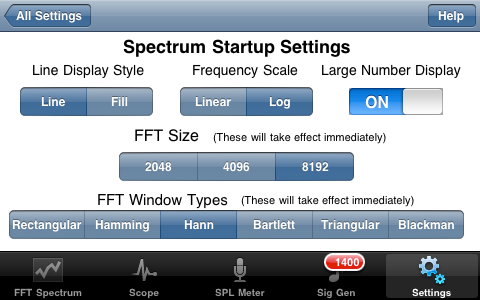 Spectrum now has selectable FFT sizes of 8192, 4096 and 2048, giving much better resolution of frequencies. Persistent settings for all user preferences. All of the user preferences in each of the above applications can be made persistent between restarts of the App. Large number display of strongest frequency in Spectrum display. 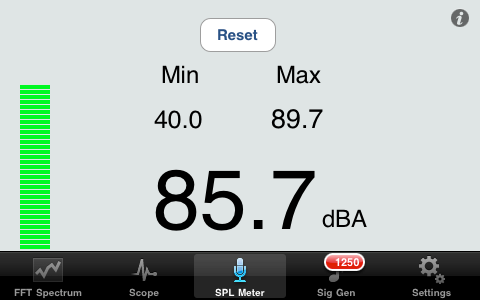 This is in addition to the small moving text above the peak, and can be quickly turned on or off. audio and sound. 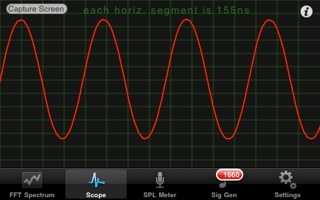 A real time Spectrum Analyser, a Scope to display waveforms, an SPL (sound pressure level) Meter, and a sine wave Signal Generator. Sinusoid now have rotary position encoders in stock. RPE3-8 and RPE3-635 with absolute analog output 4-20ma output. Also available are absolute voltage output and absolute PWM and quadrature output - RPE1 and RPE2.